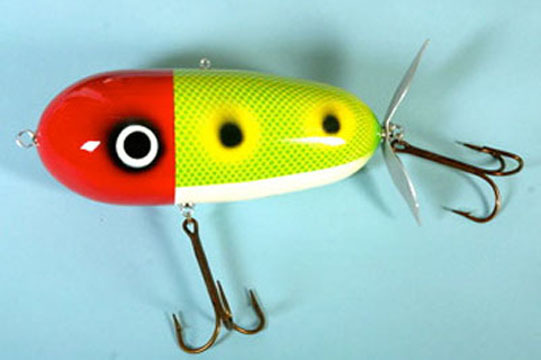 Based on the old Heddon Tiny Torpedo . This lure made quite a splash with bass fishermen. You would cast it out and let it lie quietly for as long as you could stand it then give it a couple quick splashy pops . If there was a bass in the area it would often strike .